The first museum grade Sutphen Tower for The East Side Bulls of Ladder 23. Countless hours of design, proofing, and improvements make this replica museum grade, from the stainless steel grill and detailed pump panel features, to the individual lenses on each scene light. On our most complex replica to date, each individually designed, cast or fabricated part is hand-assembled using tweezers, glue-filled syringes, and a steady hand. Industry first, true-to-scale, 0.6mm stainless steel ladder. 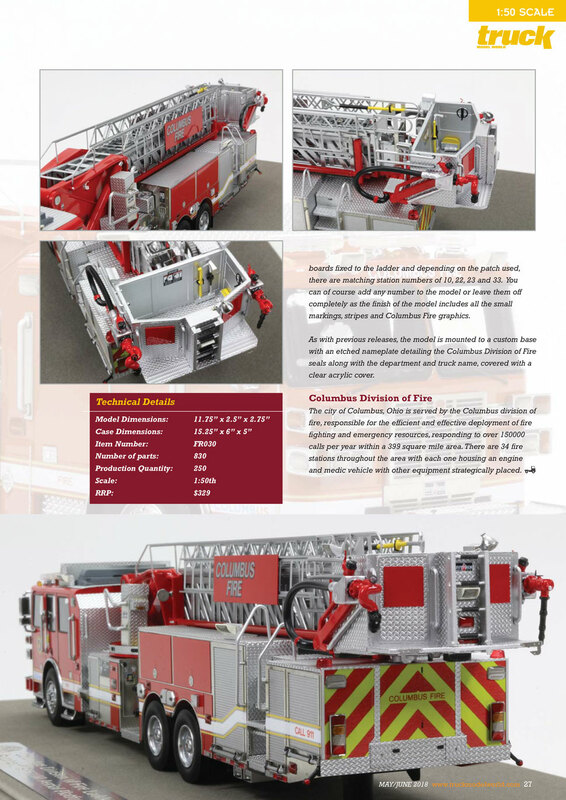 The Columbus Ladder 23 is set apart with its razor sharp stainless steel ladder structure. This is a critical component of museum grade precision and makes for an amazing first impression. First class presentation and limited in production. The replica measures 11.75"L x 2.5"W x 2.75"T and is securely displayed inside a custom case. The case dimensions are 15.25"L x 6"W x 5.25"T and the platform includes an etched stainless steel nameplate with the Columbus seal, department and truck name. 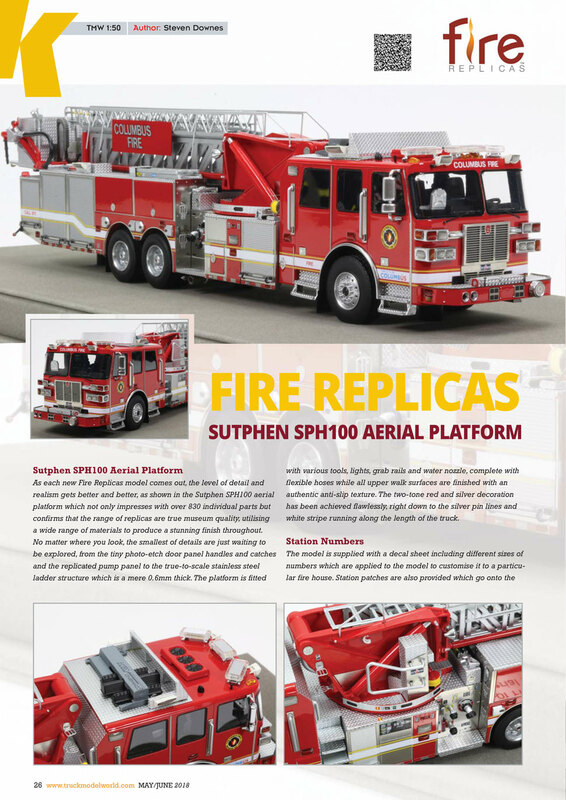 This Columbus Division of Fire Sutphen SPH100 Aerial Platfrom scale model is a museum grade replica. Like all Fire Replicas models, every detail is modeled to perfection and with razor sharp precision. The replica features the specific department configuration and graphics, leaving no detail overlooked. The display case is custom manufactured with high quality acrylic and resin. The stainless steel etched plate features the department and truck name, and department seal. This replica is a treasure to be displayed and admired and is in no way a toy.